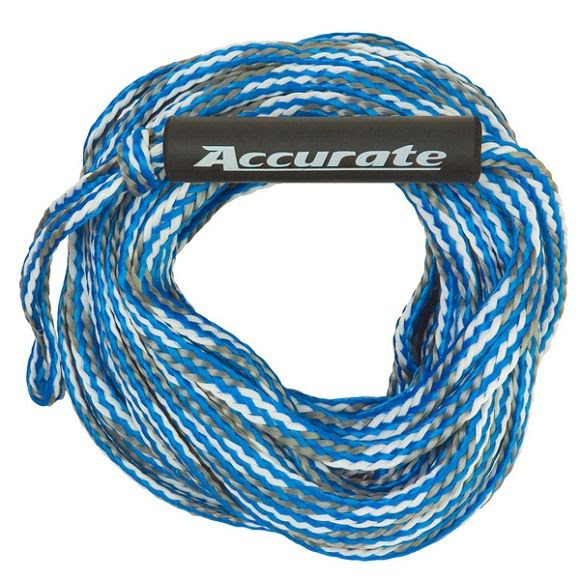 Whether you're pulling your kid on a doughnut tube or the whole family on HO Sport's ION, Accurate's Lines has the rope for your tubing needs. All tube ropes are 60’ with a 6” foam float. Whether you&apos;re pulling your kid on a doughnut tube or the whole family on HO Sport&apos;s ION, Accurate&apos;s Lines has the rope for your tubing needs. All tube ropes are 60’ with a 6” foam float. Average tensile strength 2,300 lb. Assorted colors: Blue, Red, Yellow. Please contact customer service to enquire about available colors.